1. Some people find joy in doing what they love to do, even if they don’t get paid for it. 2. Wealth is valued and desired at different levels. Some people just want enough money to prevent them from struggling to gratify their desires and pay their debts. Others want much more money than they can spend. Even if both of the above points alone may not lead you to happiness, they have one thing in common: They arise from abundance. Happiness is directly linked to abundance. This is due to the fact that the soul of a human being is constantly seeking fuller expression in the physical and mental aspects of the human being. This is the reason why in whatever you do, you want to do it better than you did before. You don’t want to do repetitive tasks that yield the same results. A human being works better with a goal, because a goal does not only give someone a clearer vision to work towards, but also, and most importantly, gives someone a higher placed end that he has not yet achieved and must be accomplished through working to become better at that field, i.e. seeking abundance in that field. Compartmentalization involves classifying your life activities into “groups”. One then has to observe his life according to how much harmony the groups have with each other as well as how much balance he puts in all the groups. Does he/she put more emphasis on one group in comparison to another? I used to have this thing where I would be interested in several different things that are completely unrelated. I used to find trouble picking and dropping and end up doing all the activities. I would train to play football professionally, pursue writing, study for my degree and still pursue a social life that is not related to any of the former. Because of this, I was very good at working under someone or doing community service work because the job was well defined and I never had a problem completing tasks I ended up setting out to do. 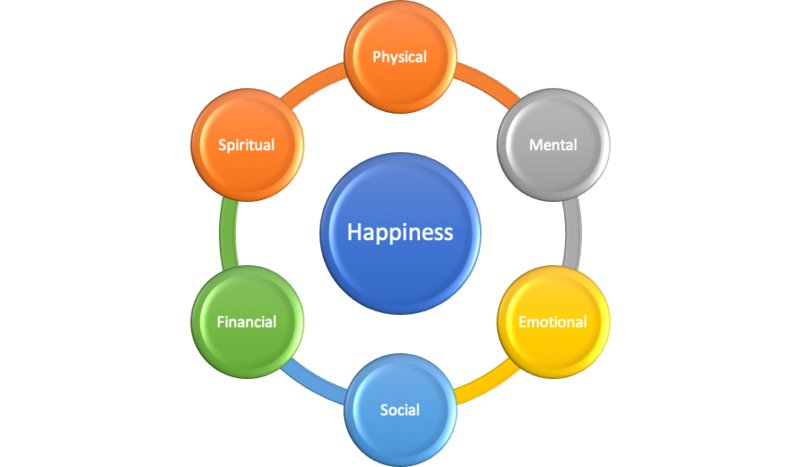 However, at the end of the day I would yield no results in terms of my own journey to happiness as I just couldn’t decide that I will want to achieve A (a career path or defined aim e.g. writing a book or becoming dancer), stick with A and then make sure all my activities in every compartment of my life concerns A and not several different and unrelated objectives (B, C, D, E etc.). Is there lack of harmony between the activities; are they in synchrony with each other? Lack of synchrony leads to stress, as one has the illusion that he has to do several activities. The interesting thing to note is that one could be carrying out the same number of activities in a day without feeling overwhelmed. Why? Simply because the activities are in synchrony with each other. For example, if I am an athlete, then I have to decide what I value the most in my life. In this example, I will say that I value my family and my career. This would then mean that all my activities are in synchrony if they are related to the things I value “THE MOST” in my life, that is, my family and my career. If one compartment is neglected or not given enough attention, one tends to feel like “something is missing in their life” or as if “there is a void in one’s life that needs to be filled”. If all your activities are in compartments, you get the chance to know the activities that take a lot of energy from your life daily without any significant benefit, thus drastically improving your productivity. “The secret to becoming more productive is not managing your time but your energy”. You also get the chance to adopt a single focus and a definite aim in your life; you are able to know where you’re going and what you’re trying to accomplish. Creating SMART goals becomes way easier to come up with (it already takes care of the “S” in SMART anyway), and eliminates stress as you develop control over the number of activities you engage in. Lastly, it gives you an idea of what particular lack is making you feel like you have a “void” is as well as what to fill it up with. Student of life. I write about financial success and self development.